The short answer is, no. It is not too late to receive the Flu Vaccine. In a recent update on current influenza activity, the Centers for Disease Control and Prevention (CDC) stated that the influenza season is off to a very late start. The update summarized that influenza activity remains low in the US, but has recently increased. Influenza viruses have been reported from all 50 states this season; the viruses Influenza A, H3N2, 2009 Influenza A H1N1, and Influenza B have been identified in the US. All influenza virus strains are susceptible to the antiviral drugs Oseltamivir and Zanamivir. The CDC said that it is not too late to get the influenza vaccine and recommends that everyone 6 months of age and older, who has not already received the vaccine, do so. 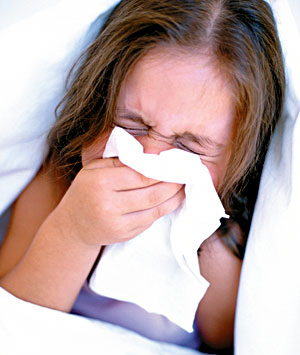 If you haven’t gotten the flu for your child(ren), give you pediatrician a call, and schedule an appointment. While you are at it, you may call your own “adult” doctor and see if they have any left. Remember, it is not too late to be protected. The full update can be viewed on the CDC website. 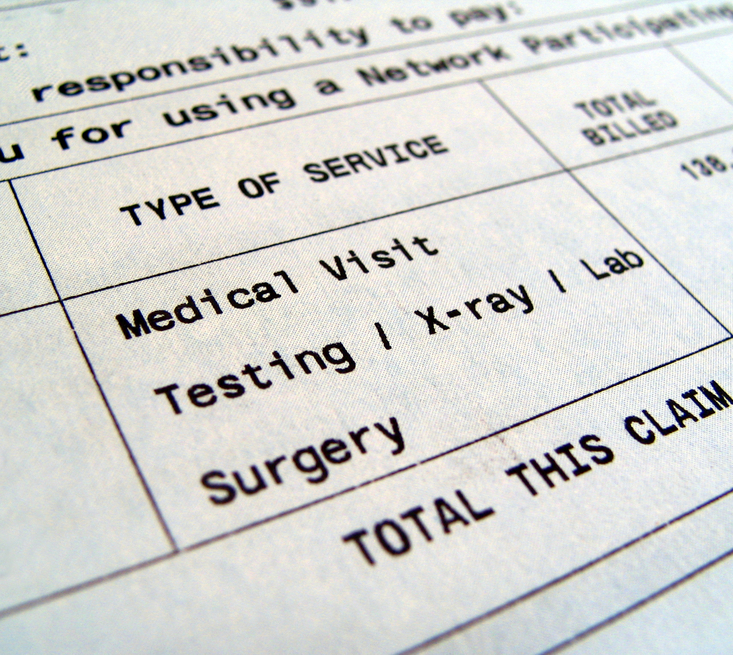 Have you ever received a bill from your doctor’s office and said to yourself, “Wait a minute, why do I have a bill? I always pay my co-pay in the office”. Insurance coverage in the 21st century can be confusing . It is not always easy to discern what you owe your doctor or why it is owed. It is often confusing for you the consumer and even at times for the doctor’s office. Some families pay their monthly premiums directly to the insurance company while others pay through their employer. The amount owed is dependent on your employment contract. Many years ago employers paid the entire amount of a health insurance policy however, in today’s economy, more and more employers are shifting a portion of the health care costs to their employees. While some look at the escalating cost of medical care and point the finger of blame at doctors, and hospitals and the cost of medication, one need only look at the ever increasing profits of the insurance company to find the true culprits. According to the New York Times in February 2012, one large national insurance company posted a 73% increase in profits. Many American families are feeling the pinch of the ever increasing cost of healthcare. Therefore when you have paid the co-pay at the time of the office visit and you receive a bill stating you still owe money, there is disbelief. Depending on your individual insurance policy you might have a deductible before the insurance company will pay any benefits. This is typically seen in the beginning of the calendar year. Another possibility is that your insurance policy might cover a percentage of the charges leaving the balance for you to pay. It is also possible that your policy does not cover a specific office visit or procedure and you are responsible for the payment. An example of this might be a breathing test performed in the doctor’s office. Your policy might cover this if and when given at the hospital but not at the doctor’s office. It might be a rapid strep test which is not covered. Occasionally a policy might exclude well visits or only cover one every other year. It is your employer who has chosen what benefits to cover, not your doctor. It is important to know the details of your individual insurance policy so that you know its limitations. Your doctor does not have this information. Once you receive a non-covered service you then take on the financial obligation for that service. So make it your business to know the details ahead of time. It will avoid a lot of pain and misunderstanding if you do. Then when you receive a bill from your doctor, you will know not to discard it and assume it is a mistake because you know you paid your co-pay. Call the doctor’s office and discuss it. F calls it our, “Seattle Vitamin.” In the upper left hand corner of the US (read:Seattle) we’re a little lacking in sunshine. It’s a product of not only our rainy weather, but our latitude on the globe. New data finds that taking supplemental vitamin D may be more important for we mamas, we city dwellers, and we little ones (infants) than we thought. Especially up here where the sunshine comes around about every fifth day. Vitamins are so well engineered these days (gummy what?) my boys think they are a marvelous daily treat. So do I. A second study published yesterday found that we are doing a poor job getting babies the vitamin D they need. Less than 1/10 of all breast fed babies and less than 1/3 of formula fed babies are getting the vitamin D pediatricians recommend. To read Dr. Wendy Sue Swanson’s post, click on the link. How To Help your Kids With Homework? Any parent with school aged children knows that homework can be a battle. Even good students can procrastinate, prefer to play, or have practice after school leaving little time for homework. Then there are the kids who struggle. I think I threw my son’s middle school homeroom teacher for a loop on back to school night. She mentioned that I can always look on line to see the assignments, and I replied something to the effect of, “I don’t have homework, so I’ll never look. It is his responsibility to know what is due.” I am not an absent parent. I do ask about his day, what he’s doing in class, and what his plans are with friends. He knows I care because I show interest in him, but I don’t micro-manage his day. I do not want to be the parent responsible for the college kid who fails because Mommy can’t manage his schedule. Of course, I know my son and he’s self motivated and capable of keeping track of assignments. Another child might need more help, but at this age I would recommend covertly looking at the assignments and guiding with questions and looking for the student to offer solutions and plans to get the work done. I am a firm believer that kids are the students, not the parents. Kids need to take ownership of their homework and all other aspects of school. Of course, for many kids this is easier said than done, but I hear all too often of college kids who have Mommy call the Professor to question a grade. That is totally unacceptable. Kids need to practice ownership from early on. Parents need to guide always, but manage less and less as the kids grow. Not every solution comes from a cookie cutter mold. Kids have different personalities and abilities. You know your kids best. Think how they work and what makes them tick. Many parents underestimate the problem with missing out on basics: sleep, nutrition, and exercise. If kids don’t get the amount of sleep they need, healthy foods, and regular exercise, they will not be as successful academically. I have blogged on this previously, and really feel that finding balance is important for everyone. Kids have different problems with homework at different times, and they each deserve their own solutions. Not one of these “types” fits every child perfectly. Most kids have more than one of these qualities, but tend to fit into one type best. Ask not only what homework they have for tomorrow, but if there are any big projects due in the future. See if they can estimate how much time it will take to do the project and help them plan how much to do each night to get it done on time. Kids who are afraid they won’t understand their homework might fear even starting. They blame the teacher for not teaching it correctly. They might complain that they are stupid or everyone else is smarter. They blame the class for being too loud, causing distraction and therefore more homework. They might complain of chronic headaches or belly aches. Be sure to praise when kids do things right and when they give a good try. Be honest, but try to think of something positive to tell them each day. When they don’t meet expectations, first see if they can see the mistake and find a solution themselves. Guide without giving the solution. Then praise the effort! Find their strengths and allow them to follow those. If they are poor in math but love art, keep art materials at home and display their projects with pride. Consider an art class. Remember to budget time. Over scheduling can result in anxiety, contributing to the problems. While the desire to do everything right has it’s benefits, it can cause a lot of anxiety in kids. These kids think through things so much that they can’t complete the task. See also the “poor self confidence” section above, because these kids are at risk for feeling they are failures if they don’t get a 100% on everything. They can have melt downs if the directions don’t make sense or if they have a lot of work to do. Help your child learn organizational techniques, such as write down assignments and estimate time to do each project. Plan how much time to spend each day on big projects and limit to that time. Help them review their progress in the middle of big projects to see if they are on track. If not, have them establish another calendar and learn to review why they are behind. (No self-blame. Is it because one step took longer than projected, they were invited to a movie and skipped a day, they got sick and were not able to work… This helps plan the next project and builds on planning skills. Helicopter parenting is a term often used to describe the parent hovering over the child in everything they do. This does not allow a child to learn from failing. It does not allow a child to grow into independence. It allows the parent to “own” the problem of homework. These kids call home when they leave the homework or lunch on the kitchen table for Mommy to bring it to school. These kids grow up blaming everyone when things don’t go their way and Mommy can’t fix it. They don’t learn to stand up for themselves. They seem constantly immature with life situations. Young children need more guidance, but gradually decrease this as they get older. Teachers can help guide you on age appropriate needs. Most parents must sign a planner of younger kids, but as kids get older the kids become more responsible for knowing what the homework is. Many schools now have websites that parents can check homework assignments, but be sure the kids own the task of knowing what is due too. Set limits on how much screen time (tv, video games, computer time) kids can have each week day and week end. A maximum of 10 hours per week of screen time is recommended by experts. If they know they can’t watch more than 30 minutes of tv, they are less likely to rush through homework to get to the tv. Ask kids to double check their work and then give to you to double check if you know they make careless mistakes. Don’t correct the mistakes, but kindly point them out and ask if they can find a better answer. Once they learn that they have to sit at the homework station until all the work is done correctly, they might not be so quick to rush. If kids have after school activities the time allowed for home work and down time are affected. Avoid over scheduling, especially in elementary school. Be sure they have time for homework, sleep, healthy meals, and free time in addition to their activities. Are the activities really so important that they should interfere with the basic needs of the child? Is the child mature enough to handle the work load? Kids who are in constant motion can’t seem to sit still long enough to do homework. Be sure they have the proper balance of sleep, nutrition, and exercise or all else will fail. Praise their efforts when they are successful. Set a timer after school to let them play hard for 30 minutes, but then make them sit. Help little ones organize what needs to be done and break homework into several smaller jobs. Set regular 5 minute breaks every 30 minutes so they can release energy. Set a timer to remind them to get back to work and compliment them when they get back on task. If they are struggling academically, talk with the teacher to see if there are any areas that can be worked on in class or with extra help at school. Can the teacher offer suggestions for what to work on at home? If kids have chronic pains or school avoidance, ask what is going on. Depression and anxiety aren’t obvious and can have vague symptoms that are different than adult symptoms. Bullying can lead to many consequences, and many kids suffer in silence. If your child won’t talk to you, consider a trained counselor.